Welcome to my wonderful world of poetry in primary schools! 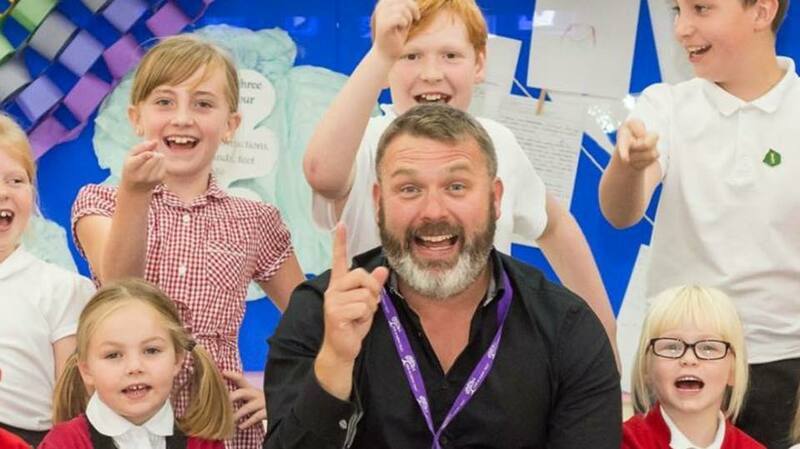 One of my poetry workshops in a primary school in Wigan. Originally broadcast on BBC1’s Match of the Day in conjunction with my work as Poet in Residence at Wigan Athletic FC. Watch me performing my poetry to an audience of children in KS2. If you are interested in a visit in your school, please take a look around my website. I promise a spectacular day of inspiration, creativity and fun! I am in continual demand for performances and workshops in libraries all over the UK. 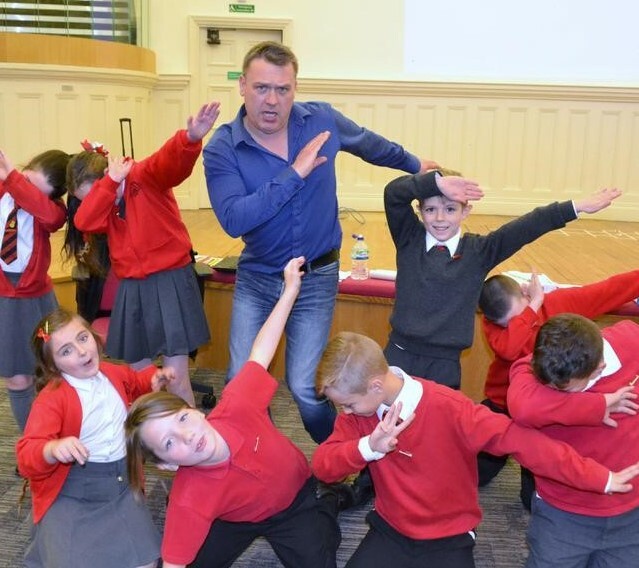 Just very recently I have appeared in libraries in York, Stockport, Rochdale, Blackburn, Warrington, Bolton, Bury, Lancashire, Salford, Newcastle and Blackpool. Skype visits now available in schools! Literacy/Poetry CPD for teachers now available! Get ​a copy of my new poetry book Go To The Head for free! Dive into this collection of poems about life at school, at home, in the big wide world… even in the depths of the sea – and you’re sure to come up smiling.